A friend posted this short fable on his blog recently. I realized I had to share it with my blog readers too. MORAL 2: If you ever find such a person in life who never shouts at you, even if badly hurt by you, hold him/her with both hands, for that person loves you like no other! Ok fellas! 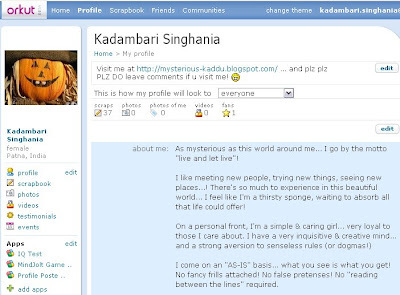 So I’m back on Orkut! For the fourth time! :-D Can’t say for how long though! Ha ha ha! But it sure looks different now… with all those "horrible-to-the-eye" themes! Let’s see how long we can make it through this time around! The enhanced security features should be able to give me the space I need. Besides, unlike my previous stints with this platform, this time I have decided to be very selective about my “company”… and not go about subscribing to tens of different communities and adding friends left & right! Only the most privileged people are getting entry into my “friend list” this time, which, btw, includes all my school friends by default, ‘coz they will always have a special place in my heart… even if I’m meeting them for the first time after like 13 years now! It’s amazing how you always feel so close to your childhood buddies! Even if you have nothing common to talk about after so many years, the bond is still there! Funny really! Another childhood favorite... funny video... funny nasal accent!
. . . Here's more in Memorabilia and in Videos! My Dad used this for as long as I can remember. I say "used" because he stopped using this when we left Kanpur... don't know why though. 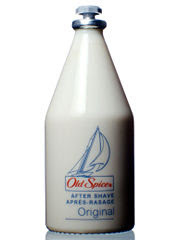 I loved this smell so much that, every now and then, I used to pick up this bottle from the shelf in the bathroom (where Dad kept it)... bring its nozzle close to my nose... and ummmmmm... smell it! Today my aunt called after a long long time! The same one I wrote about earlier on this blog – my mom’s younger sister in Kanpur. I think I spoke to her after like 4 months today – she had been keeping her cell phone switched off constantly since I went to Delhi last summer. I managed to get hold of her once, sometime towards the end of November last year, but then she disappeared again after that! She told me today that her phone had conked out on her and that she had to get a new phone eventually. She sounded pretty normal on the phone – was relaxed and in a sort of humorous mood! 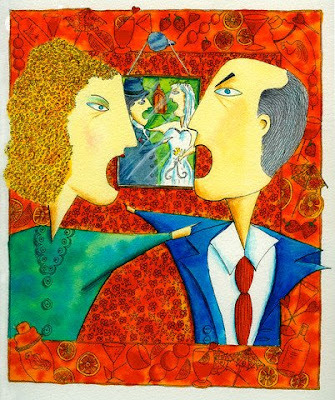 Even suggested I should “try my hand at marriage now”… which was a complete surprise coming from her, ‘coz she has been so anti-marriage throughout the last 2 years I’ve been interacting with her! It felt good talking to her again. And it felt even better to find out that her personal life is also improving now along with her health! She’s my mom’s real sister… and well, I know it sounds a bit silly and all that, but she kind of feels like the last remaining link to my mom’s spirit! I mean, she’s always loved us the same – my sis & me that is – as if we were her own children! She was the only “family” who was there for us when mom died. She’s the one who taught me how to cook and stuff! In fact, a few weeks ago, I was talking to my Dad and was telling him about the kind of wedding I wanted. I told him I didn’t want a big wedding with loads of relatives and all that – just some signatures in the local registrar’s office would do, followed by the traditional “feras” in a temple maybe… and I told him I wished Mausi (the same Aunt) would be well enough by then to come for my wedding and do the “kanyadaan”! Frankly speaking, I simply CANNOT imagine anyone else taking my mom’s place in the so many wedding-related-rituals that the bride’s mom is supposed to perform! Anyways… all that is still a distant dream! Let’s hope she’s able to go out with uncle this time around… and that they have a good time together… again, after so many years! I'm such a "prose" kind of person, it's not everyday that I find myself going "WOW" over a piece of poetry! A poem has to really "touch" me somewhere in order for me to appreciate it. And one such poem, ("Poetry" in fact, for it's an insult to call something so beautiful as merely "a poem"!) that has managed to stand out in my mind for over 20 years now, is Subhadra Kumari Chauhan's "Mera Naya Bachpan"! I recited this in the school elocution at the age of 10 or 11 (I don't remember exactly which year) and I fell in love with it the first time I read it! I'm still as much in love with it as I was then! We used to do this psychology test back in school... and one of the questions in that test was - "Which is your favorite animal and give 3 reasons why?" My answer was "An elephant"... and one of the 3 reasons why I liked elephants was that "they have such a cute and adorable smile"! My friends found this really funny! They used to ask me how did I know whether the elephant's smile was "cute and adorable" or not... and that when did I actually get to see an elephant SMILING! See... it's a baby elephant... and if THAT ain't a SMILE on his muddy, wrinkly, gray face... I'll change my name to "KKadambari"!